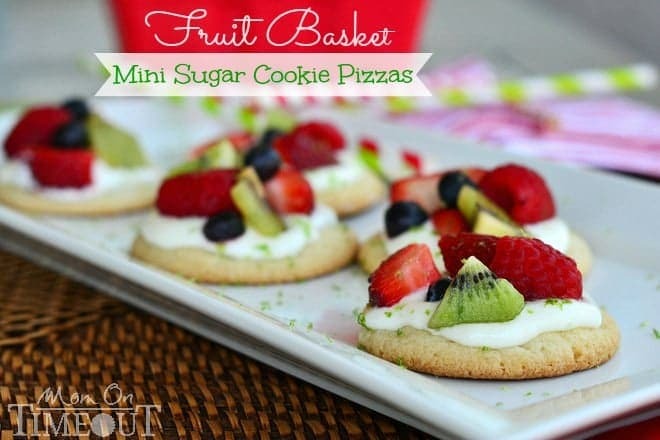 Easy Fruit Basket Mini Sugar Cookie Pizzas! A delicious lime flavored cream cheese frosting brings out the bright flavors of the fresh fruit. Perfect for summer! Sign up to get my new recipes in your inbox! Follow me on Facebook and Instagram too! Yesterday Reece had his first “official” swim meet of the season. So let me just take a quick moment to brag about Reece. This is his first year on the swim team and he’s competing with other boys in their third year. We knew he was talented (of course!) but he’s been doing so well and then yesterday…he took third in the backstroke and was only .12 seconds off of second! He did so good! We took video of his event and he was watching it last night and saying “Wow! I go really fast!” That just made my heart sing! More than anything I want him to be proud of himself and all his hard work. Let’s talk about these cookie pizzas for a minute. Super simple to prepare and absolutely delicious! I would have to say my boys love getting their dairy when it comes in the form of cookies and milk 🙂 Sugar cookies are topped with a lime-cream cheese frosting. I used limeade and fresh lime zest so the lime flavor really shines through. 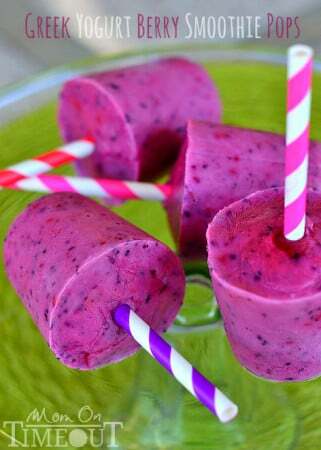 You could also use frozen lemonade or pink lemonade and lemon or lime zest for a fun variation. I picked up the best looking fruit that’s in season but blackberries, peaches, or any other fruit that looks good will work. 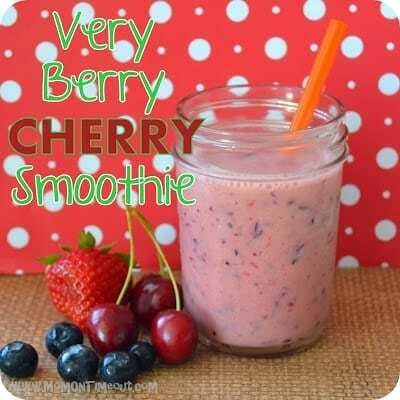 I used raspberries, strawberries, kiwi, and blueberries. The fruit is cut up into small, bite-sized pieces and then gets a quick squirt of fresh lime juice. Bake cookies according to package directions. Let cool. Beat cream cheese, limeade, ¾ cups of powdered sugar and lime zest until smooth. Add additional powdered sugar as needed to achieve spreading consistency. Cut fruit and squeeze fresh lime juice over the fruit and mix lightly with hands. 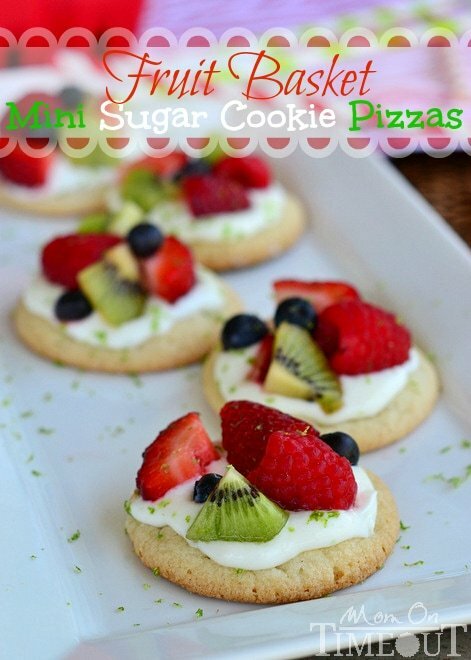 Spread each cookie with one tablespoon of the cream cheese mixture. 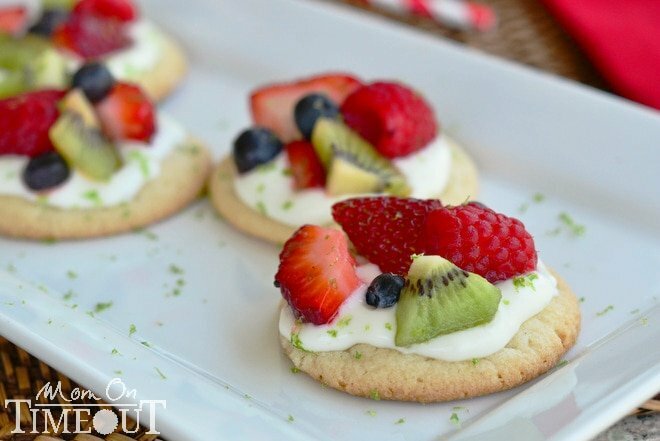 Arrange fruit on top of each cookie by hand. Zest one lime over the top of the cookies. 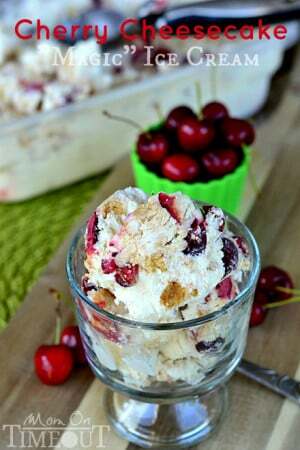 Serve immediately or keep refrigerated for 1-2 hours. Disclosure: I am a member of the Collective Bias® Social Fabric® Community. All opinions are, as always, 100% my own. These look like a miniature serving of my favorite fruit tart! I would love for you to share at this weeks Happiness Is Homemade Link Party! Happy Easter! These are just oh so adorable looking and SO scrumptious looking as well! Thank you so much Rebecca! Thank you so much for the pin Jenny!